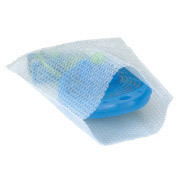 Open end flush cut bubble pouches provide great protection for odd shapped items. Reusable 3/16" bubble bags with flush cut opening. Shipping Terms - Above listed shipping charges apply ONLY to the 48 Continental United States. AK, HI email for actual shipping charges. Hold Ctrl & D To Bookmark this page!